tl;dr; Imagine you're in a third world country. A lot of those people do not have access to regular healthcare, let alone preventative healthcare. It takes one professional plus Watson to keep the pathology and oncology department in a hospital running. 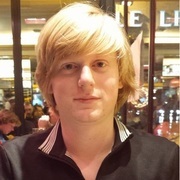 The 21st century is the century of biology, due to a variety of rapid advancements in technologies like genomic sequencing (that is being able to accurately store and read the exact genetic code inside of an organism), enhanced imaging techniques, early detection, and increased knowledge of the complex interactions that allow life to exist. This presents many exciting new opportunities and challenges. On average, pathologists earn about $302,610 USD per year. Some pathology labs employ as many as 10 pathologists to independently verify if a sample is cancerous. Just reducing the number of pathologists working in a pathology lab would from 10 to 5 would save hundreds of thousands if not millions of dollars per lab. 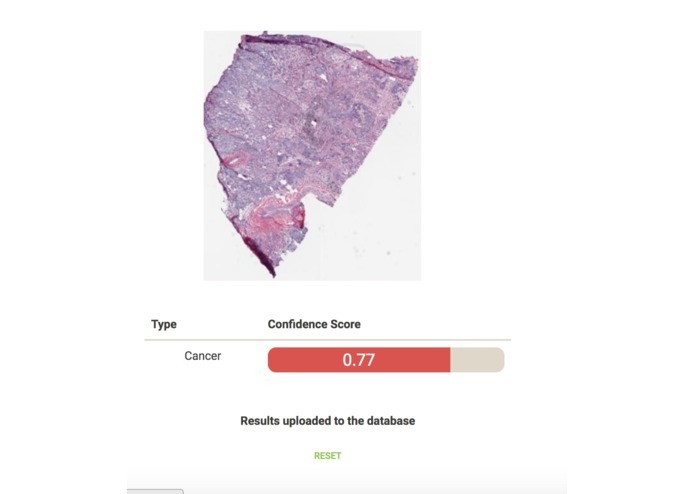 This makes healthcare more accessible to all by enabling a single professional to double check their diagnosis using Cancer Aware powered by Watson. So what does a pathologist actually do? Pathologists spend their time examining tissue slices under a microscope in order to determine if they are cancerous. This is a very onerous and time consuming process. A pathologist may consult with as many as 9 other pathologists in a pathology lab in order to confirm a diagnosis (in order to make sure the diagnosis is correct before proceeding to the next stage). In a typical diagnostic scenario, a doctor (sometimes a surgeon) will cut out, or “biopsy” a tissue sample. A biopsy sample will be sent to a pathology lab. A team of pathologists determines whether the sample is cancerous, and if so how malignant. Starting with the first pathologist, the plated tissue sample will be examined under a microscope. Once his determination is complete, another pathologist will also examine the sample under a microscope in order to confirm a diagnosis. This process could be repeated multiple times to eliminate false positives. 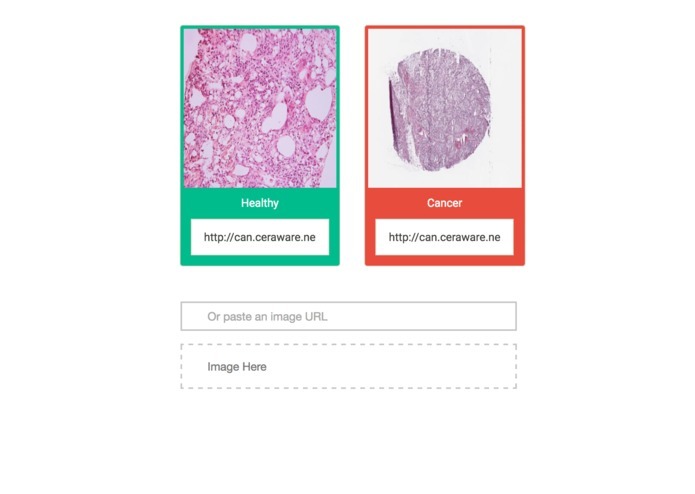 In order to replicate the process that pathologists go through, we separated the information into two domains for Watson, a collection of healthy lung cell tissue (called “Healthy”), and a collection of Lung Squamous Cell Carcinoma tissue, the same types tissue a pathologist would look at under a microscope (called “Cancer”). We chose to target lung cancer because more than a fourth of all cancer cases are lung based and lung cancer has one of the lowest survival rates. The impacts of this field are far more reaching. 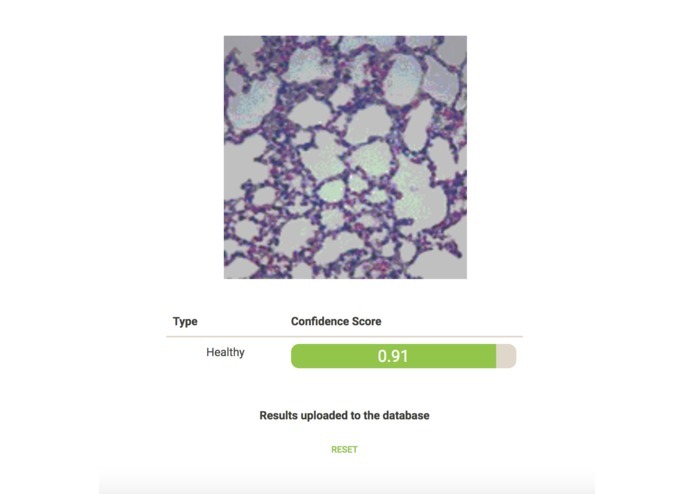 With the high costs of employing pathologists coupled with the heavy workload, using a Watson based system to verify the finding of one pathologist will cut medical costs down significantly. This is only the beginning. 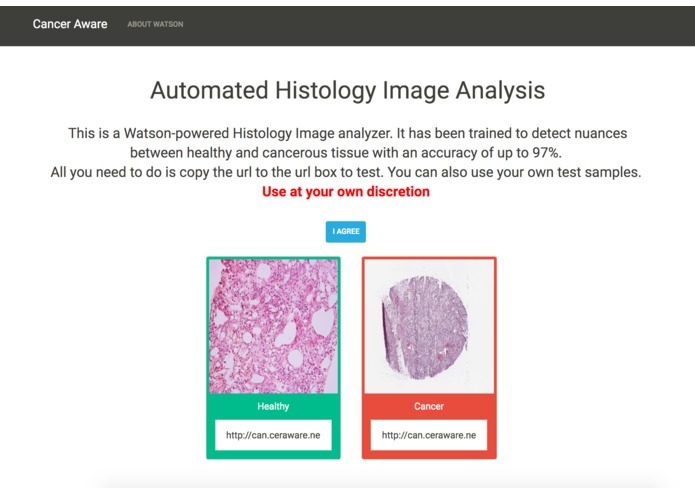 When this process expands Watson’s dataset to other types of cancer, Watson will help distinguish between different subtypes of cancer (based entirely on visual recognition or even coupled with genetic sequencing).